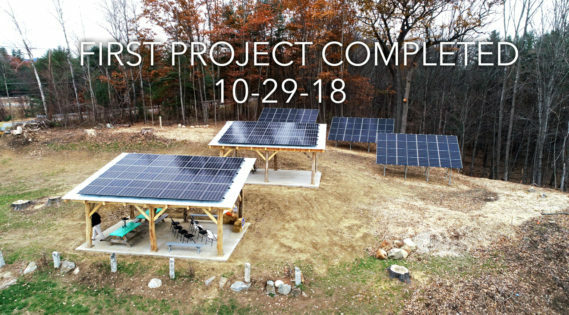 The project will be located on Fosters Street in Plymouth, NH. Alex Ray of the Common Man Family of Restaurants has donated space in front of the Common Man Inn between the railroad tracks and Rte. 3. The property currently houses the Frosty Scoops seasonal ice cream stand operated as a Youth Entrepreneurial Program through the Community for Alcohol and Drug Free Youth (CADY). 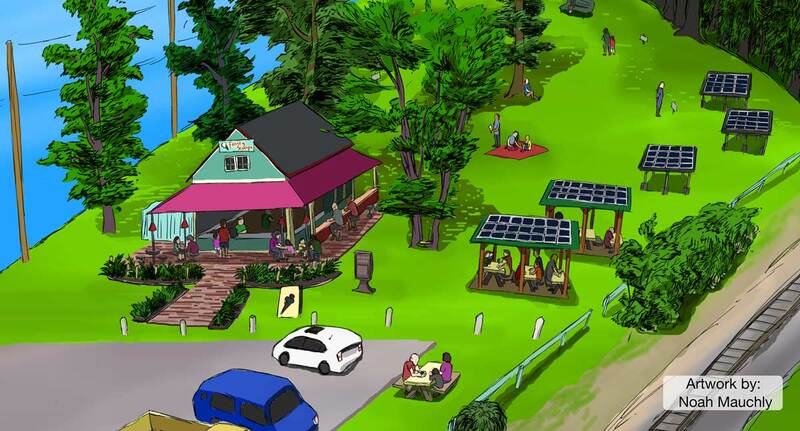 The solar picnic area will be located uphill to the east of the current ice cream stand. Tree removal will take place on the east side of the property to open up the solar window. A selective tree cut will take place to the northwest of the solar arrays to create a glade and park like feel for picnic goers. The backdrop of the glade will be three picturesque oak trees. 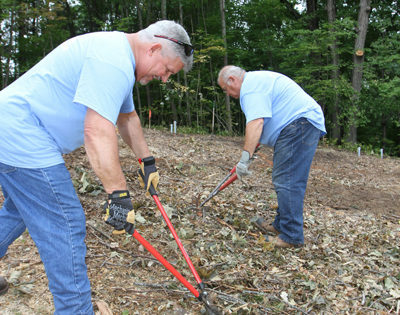 A nature path will be built through the glade and back along the wooded road side. 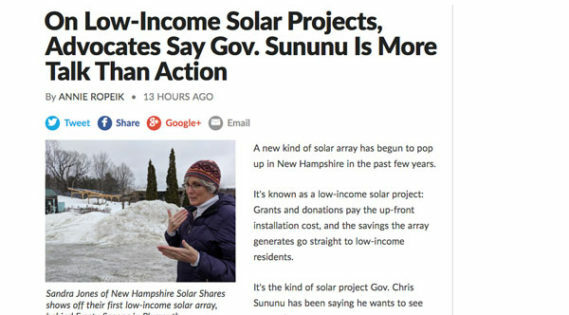 The path will include educational signs about the sun and solar energy. The Common Man has future plans to build a permanent ice cream stand uphill from the existing one. The solar PV system size will be 28.8kW. 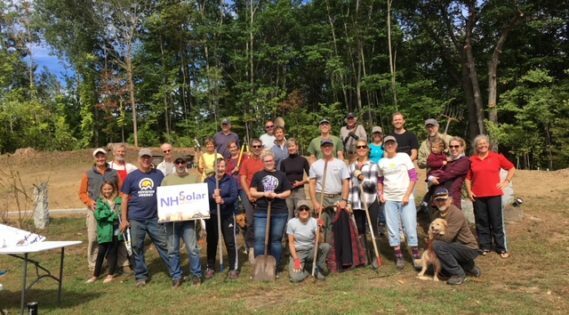 Ninety solar panels will be installed on three steel ground mounts and two wooden picnic pavilions built by local volunteers. The PV system will be installed by Revision Energy in September – October, 2018. 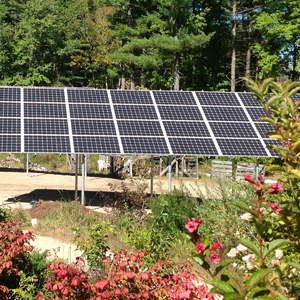 The projected solar production for the 28.8kW PV system is 34,523kWH annually. Make your “power-full” gift here to help bring this concept to life. 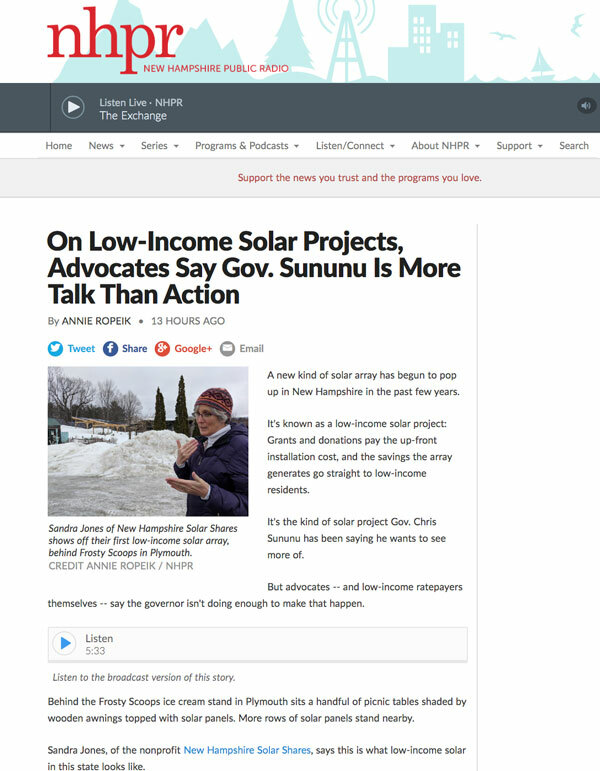 NH Solar Shares is seeking pioneer donors and volunteers to get behind this new concept. Please contact us!